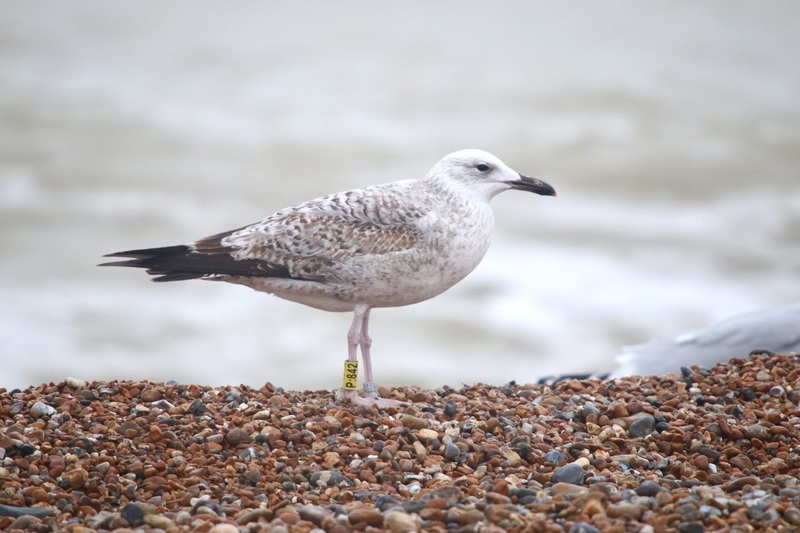 Once the thick fog of the morning cleared a check of the sea produced three Great Skuas and a first-winter Yellow-legged Gull came to the offers of bread. 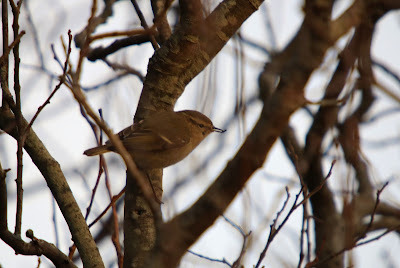 A Chiffchaff was feeding in the Observatory Garden. 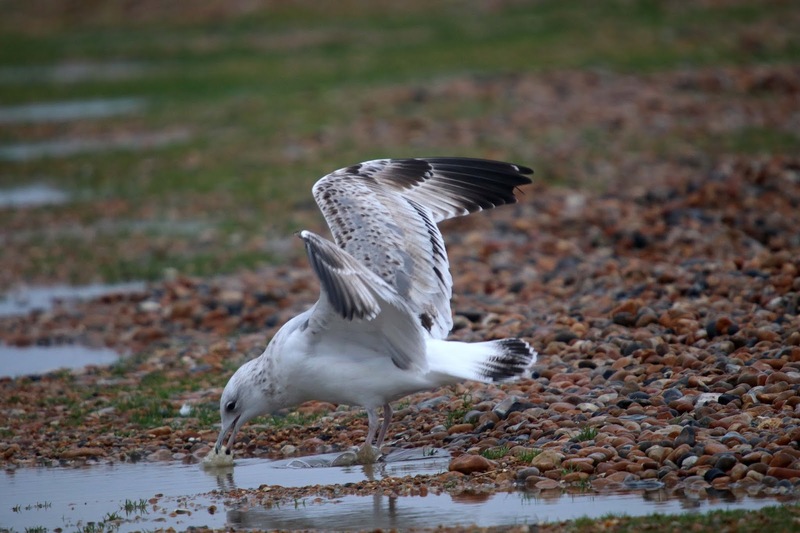 The first-winter Caspian Gull was seen again and 24 Dunlins and a Sanderling were on the beach. The morning seawatch produced 78 Red-throated Divers, 200 Great Crested Grebes, two Great Skuas, two Mediterranean Gulls, 50 Kittiwakes and the first-winter Caspian Gull. A Common Seal and a Grey Seal were seen. 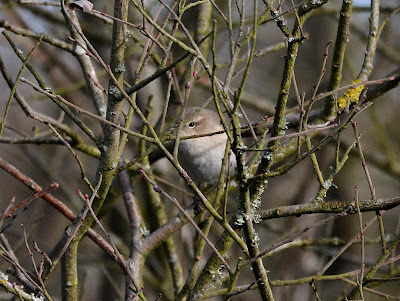 The Siberian Chiffchaff was seen in the trapping area again and seawatching produced three Great Skuas, three Mediterranean Gulls, 51 Kittiwakes and good numbers of auks. A first-winter Caspian Gull was still present. One Grey Seal was also seen. A check of the trapping area produced a new species for the year in the form of a lovely Siberian Chiffchaff which was consorting with a small flock of birds which also included four Firecrests and a Common Chiffchaff. 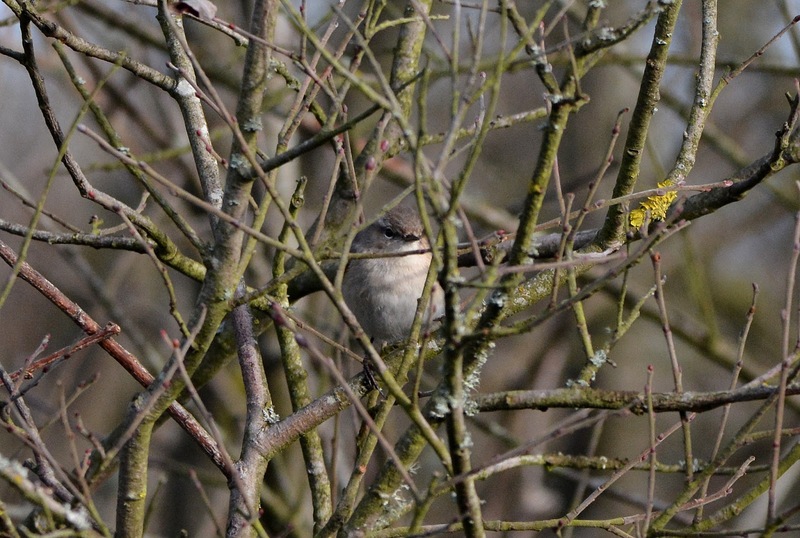 A Dartford Warbler was also found and a Little Egret flew over. 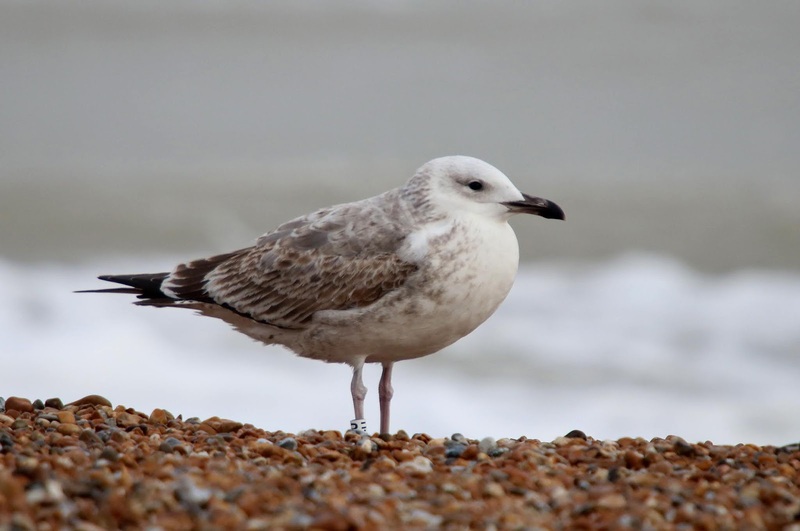 Good numbers of Gannets and auks were feeding offshore and a first-winter Caspian Gull made a brief appearance on the beach. 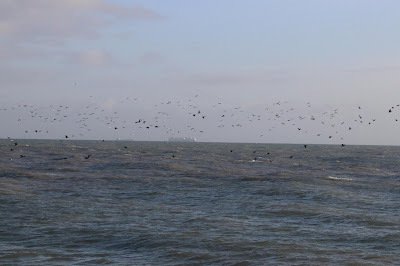 Just a small part of the large feeding flock of birds offshore. 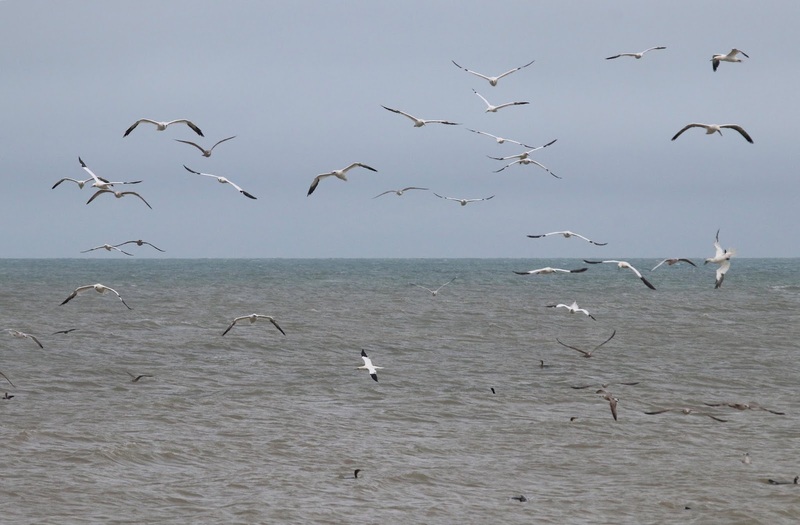 A decent movement of seabirds this morning including two Fulmars, 327 Gannets, 58 Kittiwakes. 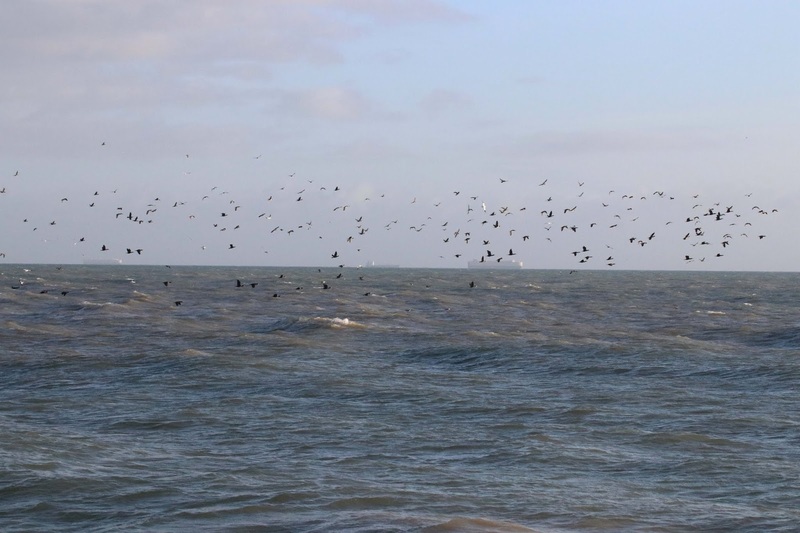 884 Guillemots and 132 auk species and the highlight of a Great Skua. 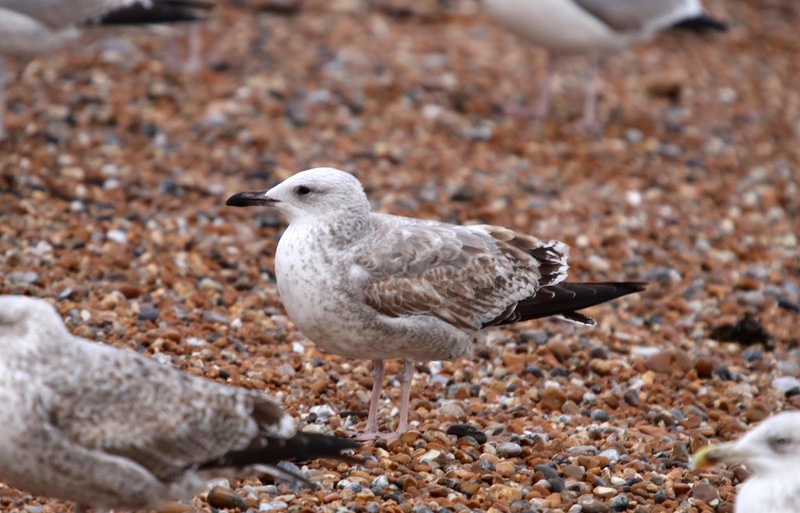 A first-winter Yellow-legged Gull was in the roosting flock on the beach. 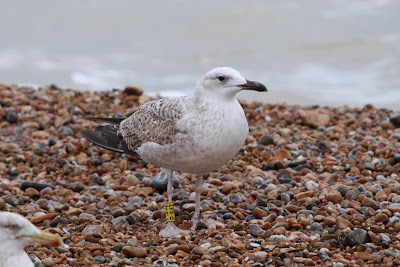 Not a great deal to be seen other than a few Red-throated Divers, Gannets, Kittwakes and auks moving west and also the oddity of a late Sandwich Tern. 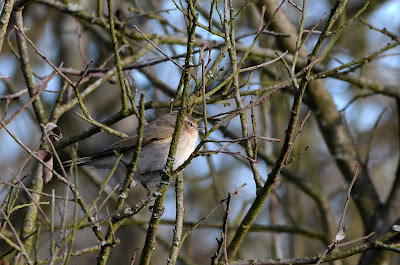 Two Chiffchaffs were seen in the bushes. Two Grey Seals were feeding offshore with appearing to catch and eat a large Conger Eel. 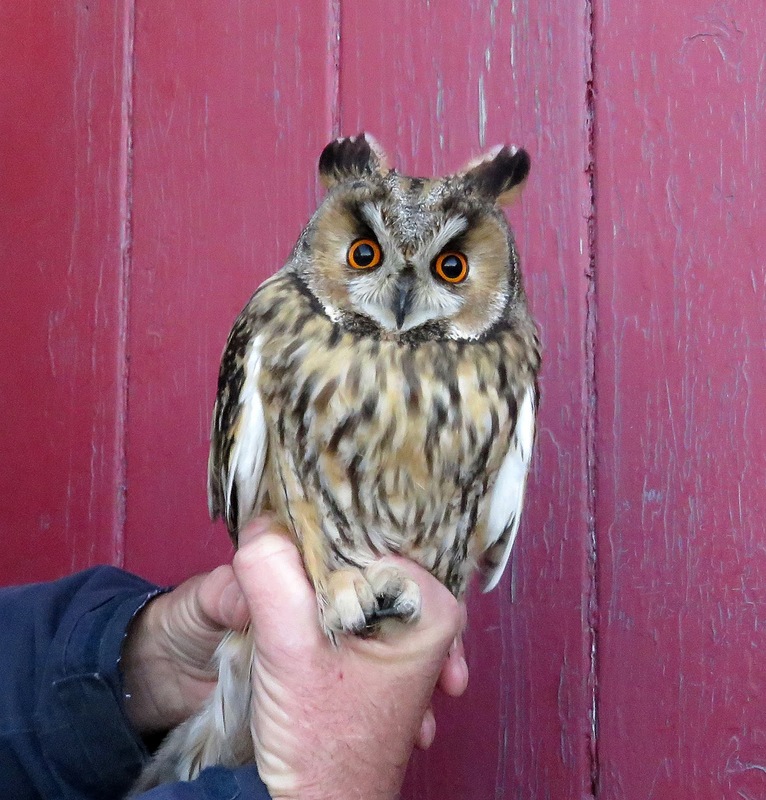 A Jack Snipe was found in one of the wet flashes at the Long Pits and three Firecrests and a Chiffchaff were seen in the trapping area. 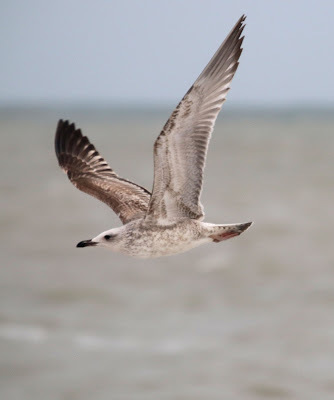 There was very little movement offshore but three Caspian Gulls (two first-winters and an adult) were seen in the small roosting flock at the fishing boats. Another windy day resulted in a decent movement of seabirds and including three Velvet Scoters, 75 Red-throated Divers, four Fulmars, 1300 Gannets, 316 Kittiwakes, an adult Little Gull, 1524 Guillemots and 29 Razorbills and also a Pomarine Skua of particular note. 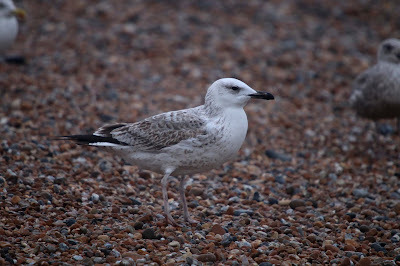 A first-winter Caspian Gull and a first-winter Yellow-legged Gulls were among the gulls roosting at the fishing boats. A Grey Seal and two Porpoises were feeding offshore. Limited coverage today but the few reports I had were that it was very quiet. After a night of violent winds and torrential rain the day dawned surprisingly calm and sunny. 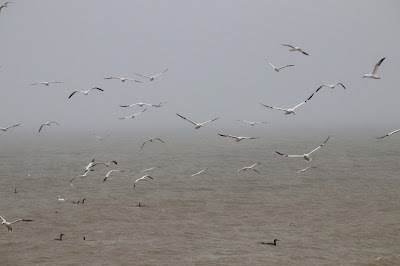 Seawatching was the order of the day again with over three hours this morning producing six Shoveler, two Teal, seven Eider, 289 Common Scoters, a Velvet Scoter, 275 Red-throated Divers, 138 Kittiwakes, 15 Mediterranean Gulls and a few auks of note. 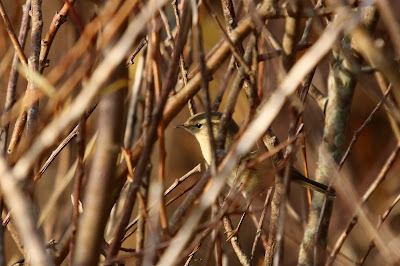 Four Firecrests were also seen in the trapping area. 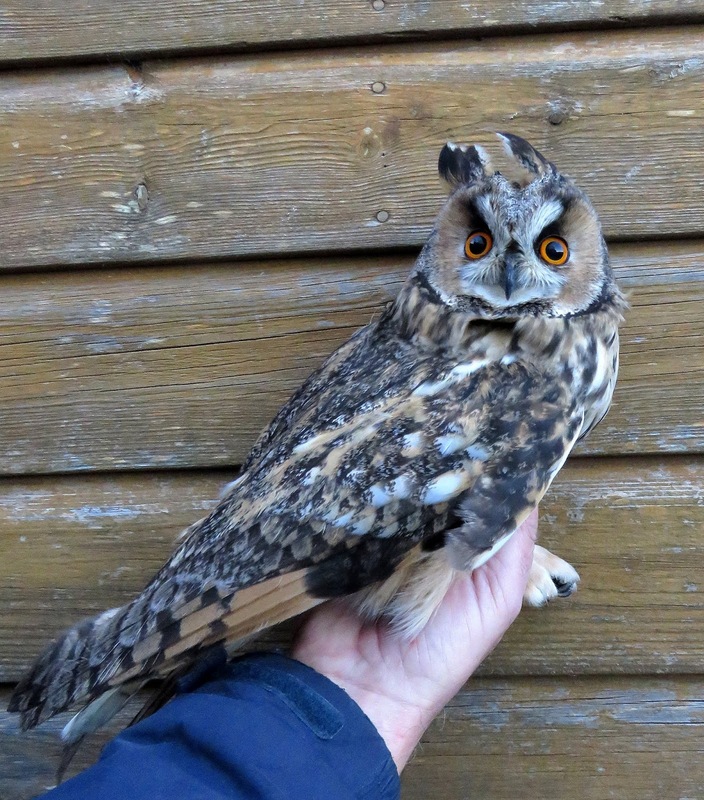 A morning with strong and increasing, very cold south easterly winds and heavy rain at times. Over four hours of seawatching produced eight Eider, 1282 Gannets, three Fulmars, 1312 Kittiwakes, eight Mediterranean Gulls, 775 Guillemots, 125 Razorbills and 668 auks sp. An adult and a first-winter Caspian Gull were among the gull flock gathering at the fishing boats. Not a great deal to report today. 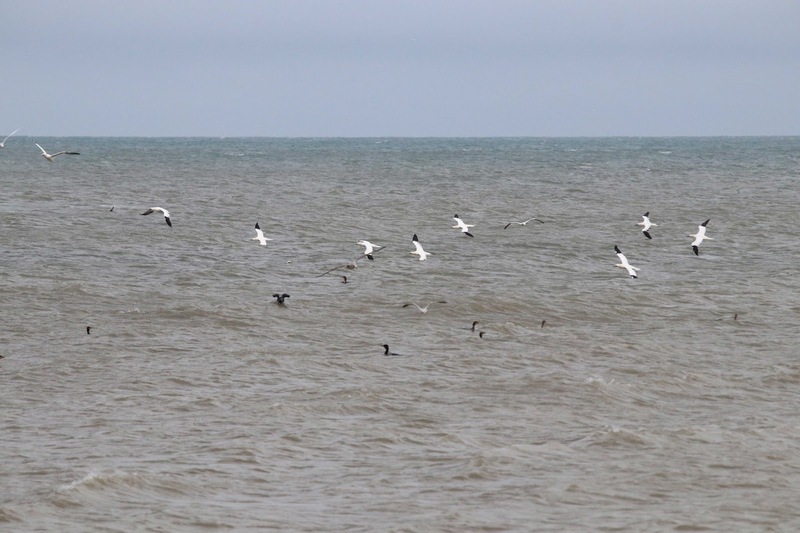 Decent numbers of Gannets, Kittiwakes and auks but very little actually passing through. 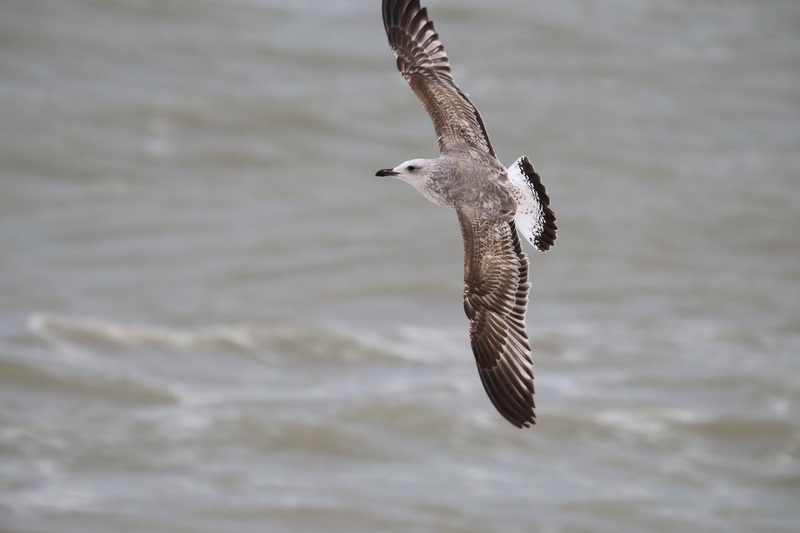 There were plenty of Gannets, Kittiwakes and auks offshore and a Great Skua and 21 Mediterranean Gulls were seen offshore. 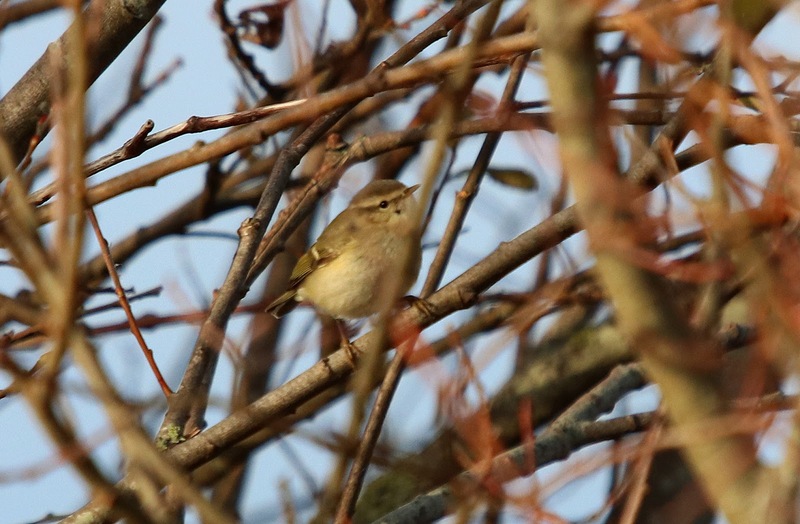 A couple of checks of the bushes produced seven Firecrests and 20 Goldcrests but the windy and cold conditions made observations difficult. Two Porpoises were also seen. 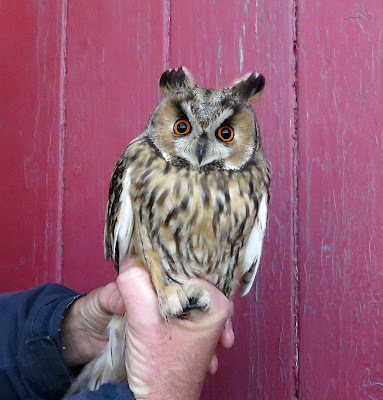 The obvious highlight of the day was the catching of this superb Long-eared Owl in the Heligoland Trap this afternoon. The only other coverage was of the sea where it was fairly quiet although three Eiders, a Great Skua and a Mediterranean Gull were of note. 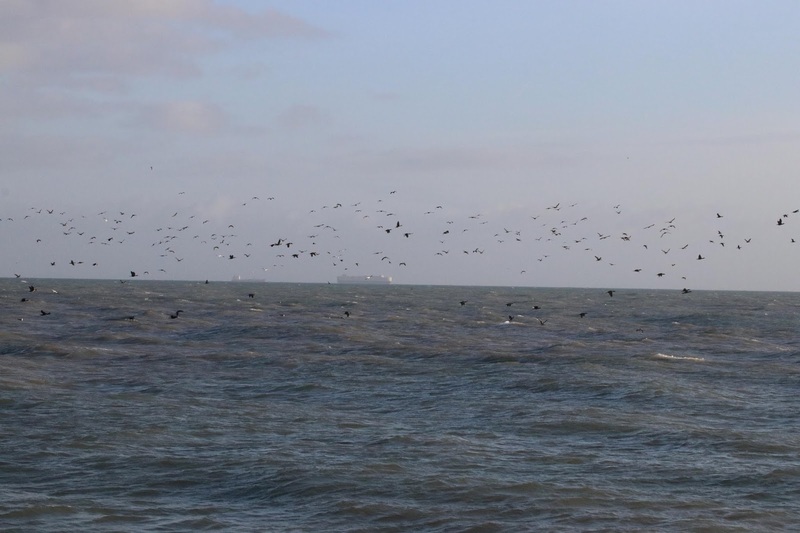 Two Ravens were seen on the beach - the first in the Observatory area for some time - and a Black Redstart was seen around the Observatory..
Two Porpoises were also feeding offshore. A nice day after a misty start. Four Firecrests were seen in the trapping area and a Black Redstart was on the wall of the power station. 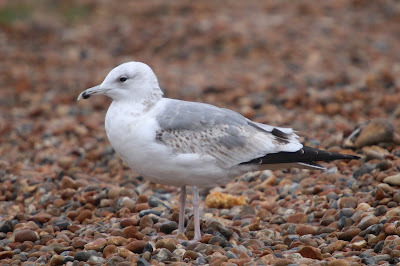 A Great Skua flew west and an adult Mediterranean Gull was seen at the Patch. 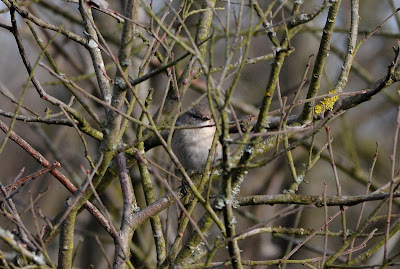 A check of the bushes in decent weather conditions produced a Woodcock, four Firecrests, three Chiffchaffs and a Bullfinch in the trapping area and a Kingfisher at the Long Pits. 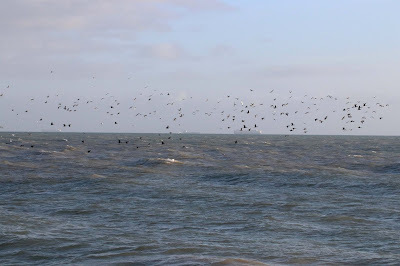 Plenty of birds were feeding offshore again and a Great Skua flew west. 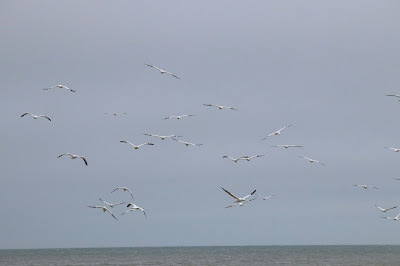 Lots of birds passing offshore again today but mostly at great distance. 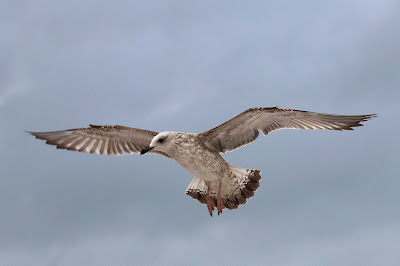 At least 3000 Gannets were seen along with large numbers of auks and also two Great Skuas and two Mediterranean Gulls. 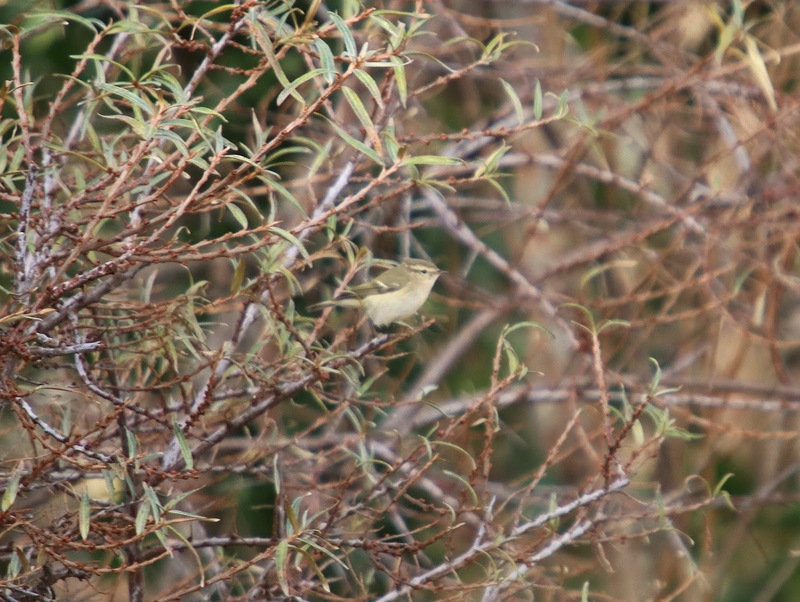 The Hume's Warbler was reported again from Lade Pit. Another day with most of the coverage looking to the sea but apart from lots of Gannets, Cormorants and auks the only other bits of note were two Teal, 111 Red-throated Divers, a few Kittiwakes and a Great Skua. 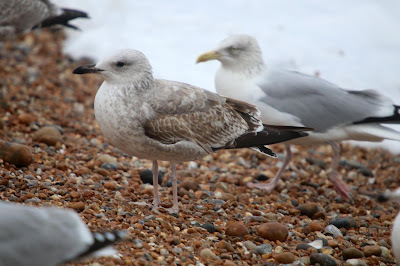 Two new Caspian Gulls (a first winter and a second-winter) were also seen around the fishing boats. 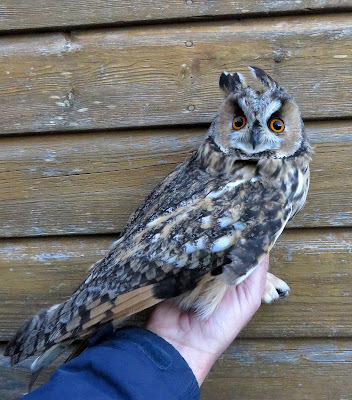 A slightly odd-looking individual which may have some hybrid influence in it. 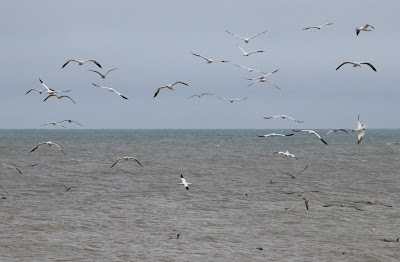 After the riches of yesterday the sea seemed a bit disappointing this morning but in fact there were actually more birds to be seen but just lacked any rarer ducks and auks. 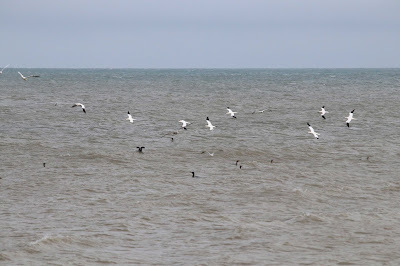 A four- hour watch this morning produced a Red-breasted Merganser, 292 Red-throated Divers, 772 Gannets, a Great Skua flying into the bay, three Mediterranean Gulls, 122 Kittiwakes, 718 Guillemots, 281 Razorbills and 925 auk sp. 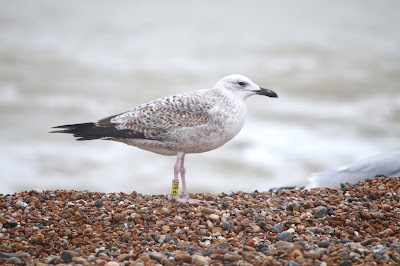 In addition, on the beach was another colour-ringed first-winter Caspian Gull and two Yellow-legged Gulls. 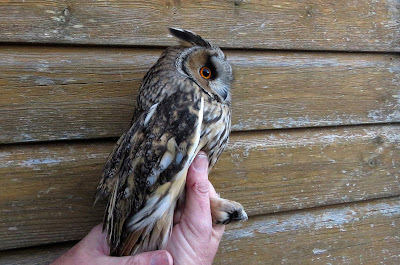 This will probably turn out to be a Polish-ringed bird. 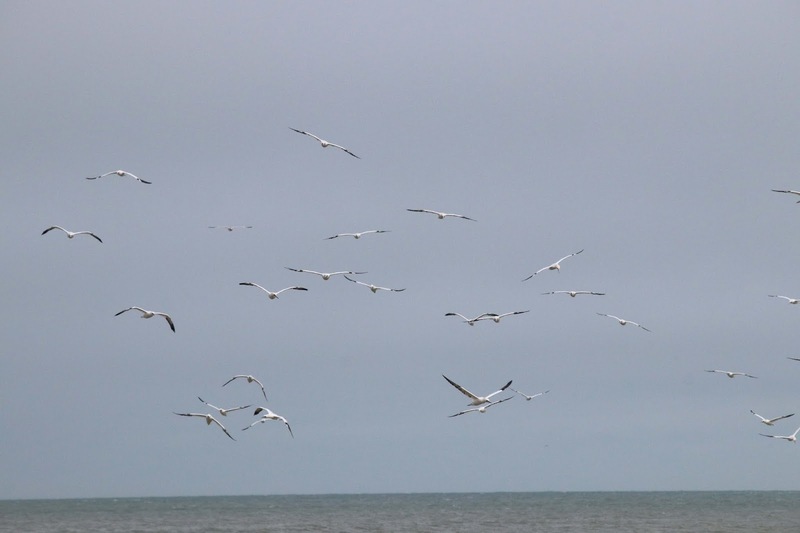 and these attracted large numbers of Gannets at times. A Common Seal, a Grey Seal and at least one Porpoise was feeding close inshore. A Satellite was the only moth trapped overnight. Elsewhere, the Hume's Warbler was seen again at Lade Pit and a Cattle Egret was seen in the fields at Boulderwall. A return to wet and windy conditions but this time producing a memorable five hour seawatch. There were several highlights with the birds of the day being a Black Guillemot and a remarkable total of seven Puffins. 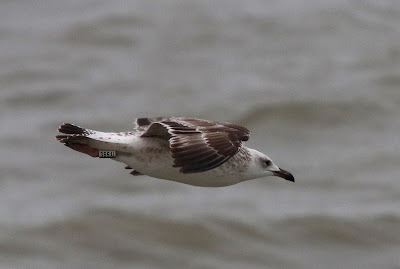 There was considerable back up in the form of a Long-tailed Duck, two Velvet Scoters, a flock of eight Goosanders, singles of Black-throated and Great Northern Diver and a Grey Phalarope. 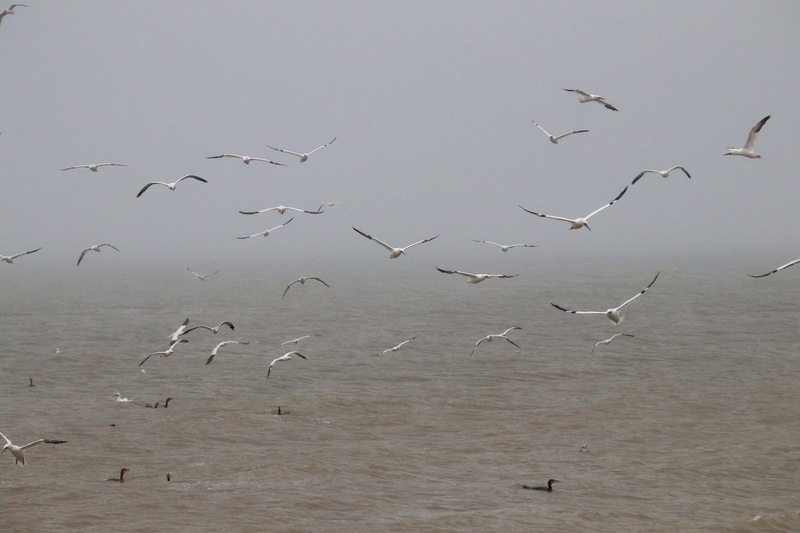 Numbers were provided by 587 Gannets, 346 Kittiwakes, 673 Guillemots, 160 Razorbills and 266 auk sp. 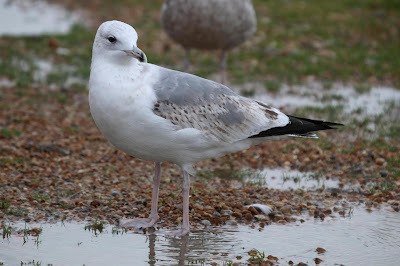 Gulls were also a notable feature with a Little Gull, two Mediterranean Gulls, three Yellow-legged Gulls and two first-winter Caspian Gulls. 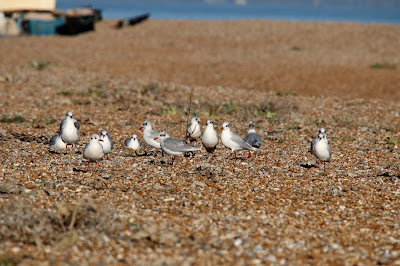 A late Sandwich Tern was also seen. 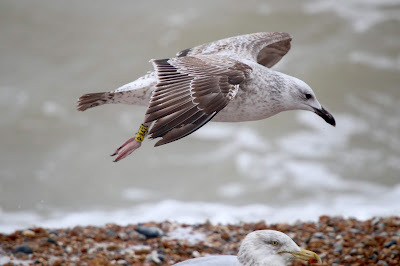 Colour-ringed 365:U from the Czech Republic. Both individuals in this shot. A Common Seal and a Porpoise were also feeding offshore. A Dark Swordgrass moth was trapped overnight. The Hume's Warbler at Lade was seen again. After a long spell of wind and rain today dawned clear, calm and frosty. The fine weather resulted in a reasonable overhead movement with 600 Wood Pigeons, 115 Stock Doves, 260 Starlings, two Tree Sparrows, eight Siskins, two Redpolls and 14 Reed Buntings and a nice surprise in the form of eight Pink-footed Geese. 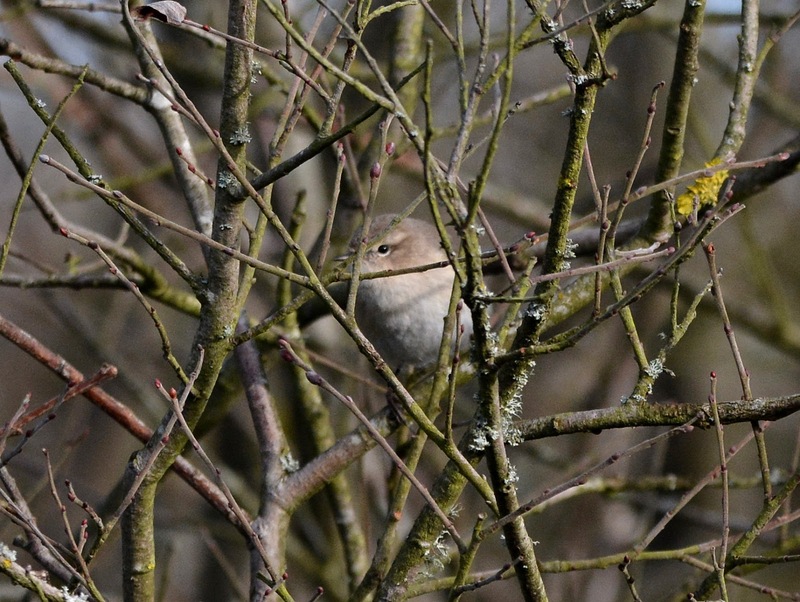 There was also a small increase in grounded migrants with a Fieldfare and five Song Thrushes of note along with three Chiffchaffs, five Firecrests and a Bullfinch. Large numbers of birds were feeding offshore and included 70 Mediterranean Gulls, 1100 Kittiwakes and 20 Razorbills of note. 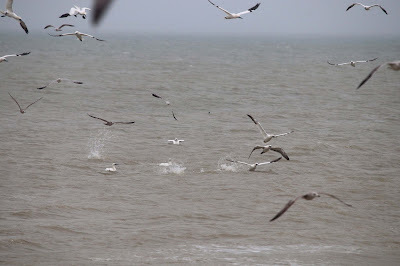 Singles of Common and Grey Seal and a Porpoise feeding offshore. More wind and rain and fairly limited coverage again. The only birds of note were a Mediterranean Gull, a first-winter Caspian Gull and 32 Turnstones at the fishing boats and two Firecrests in the trapping area. A Common Seal and a Grey Seal were feeding offshore. 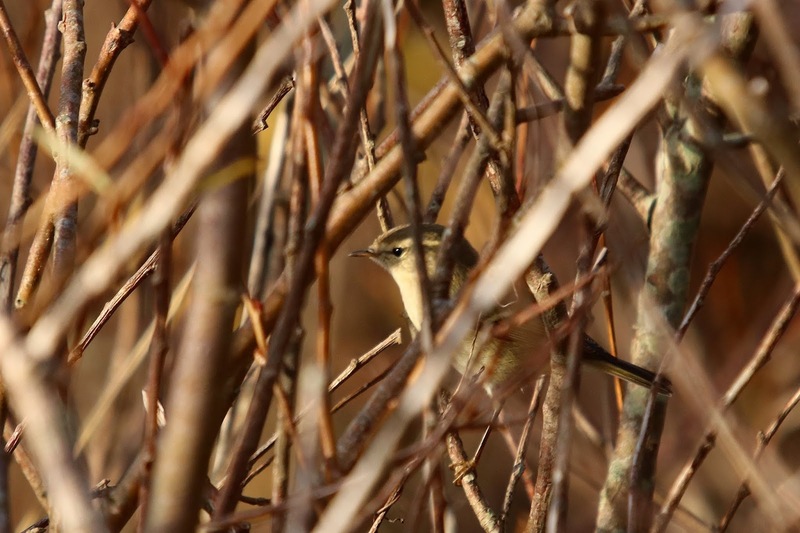 There was no sign of the Hume's Warbler at Lade today. Another fairly miserable day. 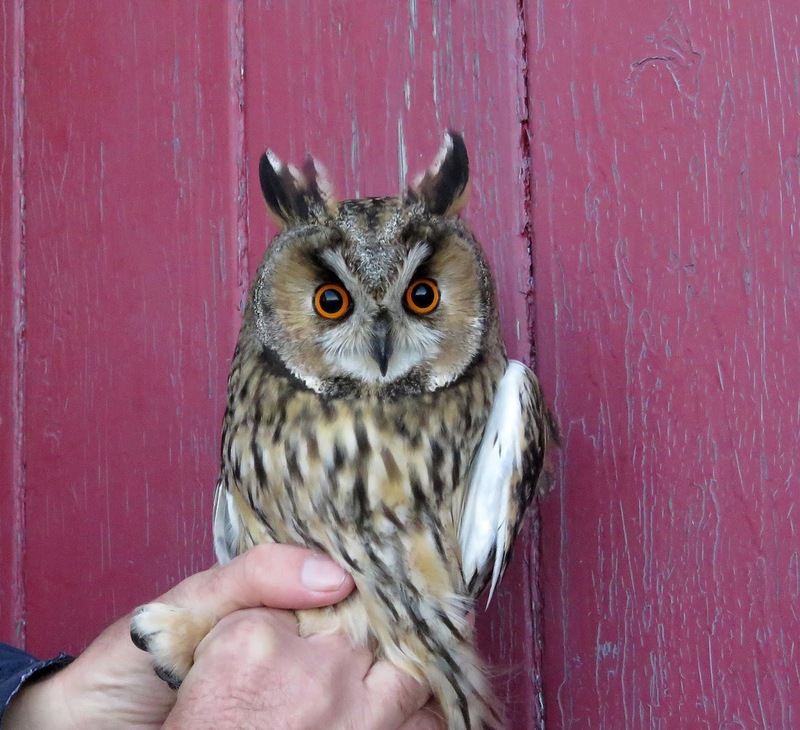 Six Firecrests were seen in the trapping area and at the Long Pits and two Little Egrets which came in from the east.were about the only birds of note. 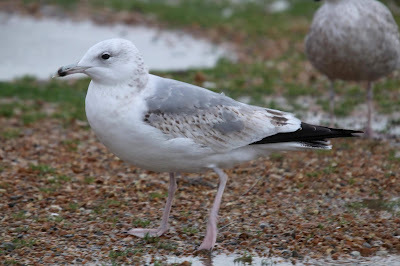 Most of the interest elsewhere around the area was at Lade Pits where a Hume's Warbler was found along with a Red-necked Grebe, two Goosanders, two Great White Egrets and two Caspian Gulls. 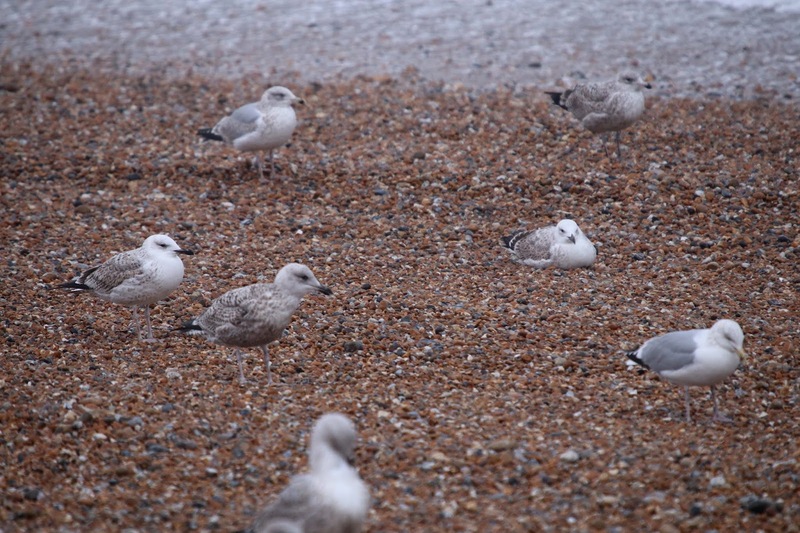 The gull roost on Burrowes this afternoon produced three Caspian Gulls where a party of eight Goosanders were also seen. A very ropey shot of this bird. 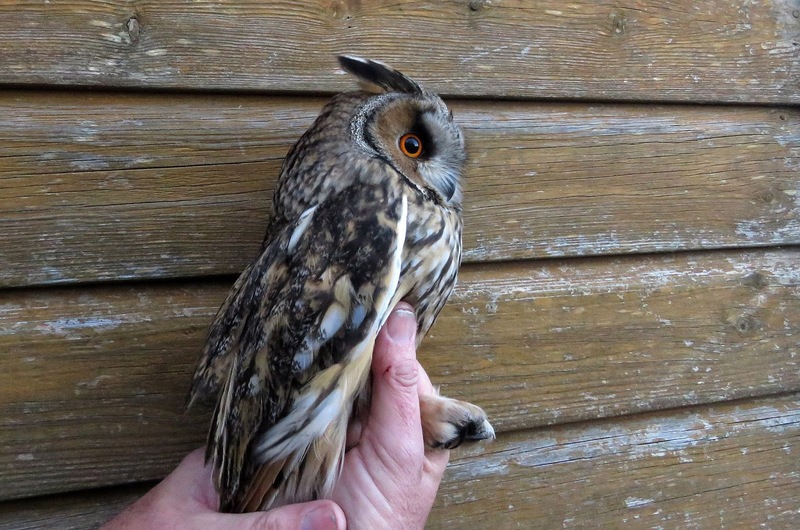 Fortunately it was heard calling on several occasions which helped to confirm its identity. 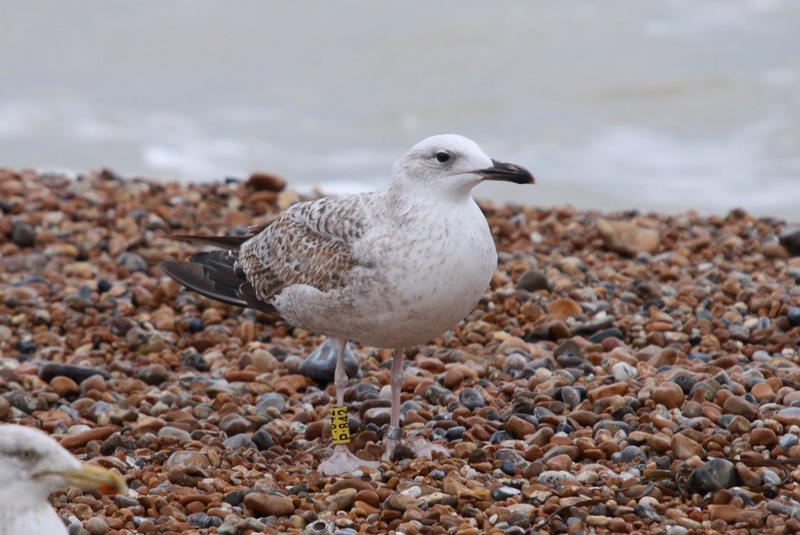 Tthis is only the fourth Dungeness area record. Not a great deal to report on another breezy day with almost continuous rain and very poor visibility. A morning seawatch produced 750 Gannets and a second-winter Mediterranean Gull came to the offerings of bread at the fishing boat.